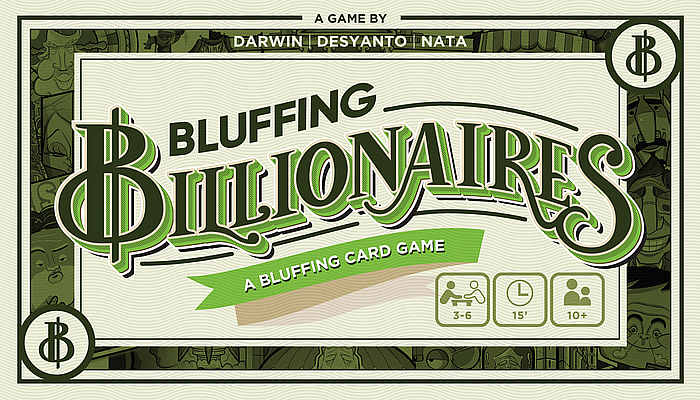 Become the richest billionaire alive! 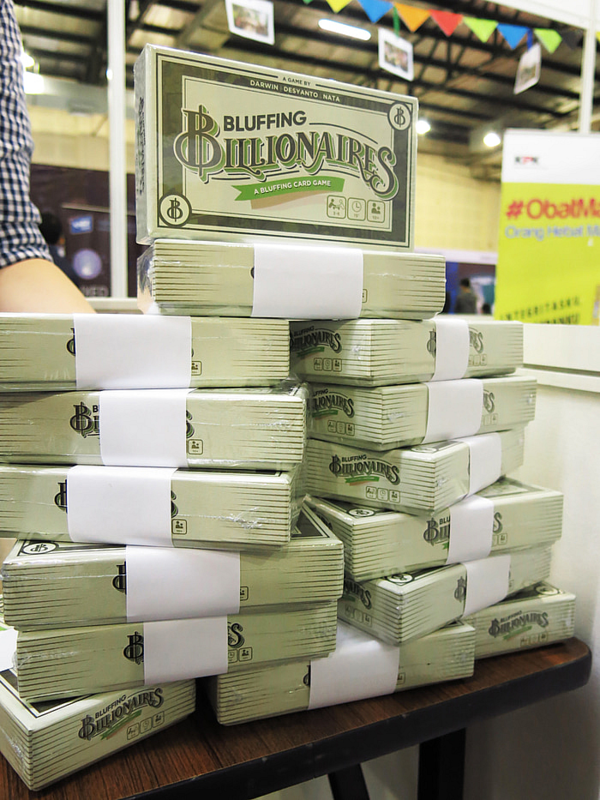 Bluff your way to keep your assets and outwit your opponent to bankrupt them while you’re ahead. 60 Asset Cards (10 Cards per player). 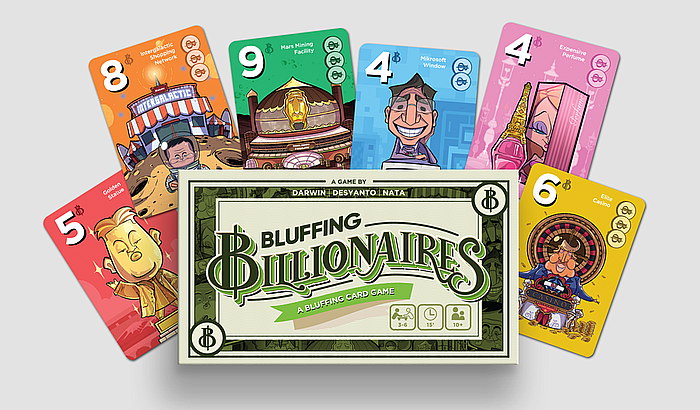 The active player must play an Asset card from their hand face-down to the table, claiming to be the richest Billionaire with the highest card on the table. If the active player have a previously played face-down card, discard that card face-down to their own Discard pile. If there are no other face-down cards on the table, the turn then passes clockwise and the next player on the left become the active player. 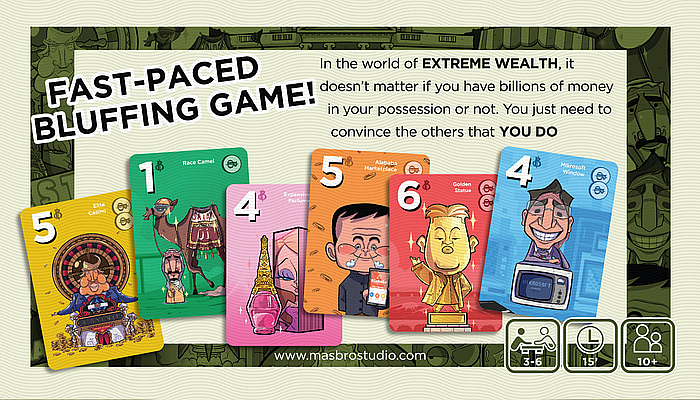 If there are any other face-down Asset card(s) on the table, the owner(s) of those cards may approve or challenge the active player by performing agreed gestures simultaneously, such as thumbs up or thumbs down. Approve (Thumb Up) : You believe the active player played a higher card than yours, and therefore did not wish to challenge him/her. If all other players approves unanimously, the turn passess clockwise and the next player become the active player. Challenge (Thumb Down) : You DON’T believe the active player played a higher card than yours, and therefore wish to call his/her bluff. More than one player might challenge the active player simultaneously. If the active player’s card is not higher than a challenger’s card, hence falsely claiming to be richer, the active player lose against that challenger. If the active player’s card is higher than the challenger’s card, hence proofing his claim, the active player wins against that challenger.